Mon. - Fri. 9:30 a.m. to 5:00 p.m. Sat. 9:00 a.m. to 1:30 p.m. 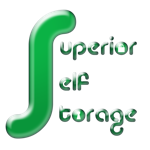 Copyright © 2018 Superior Self Storage, Inc.